Brilliant Cottage with helpful hosts and with everything you need. The cottage was a perfect location for a golfing trip to Gleneagles as it was only a 5 minute drive. Parking was easily available straight outside, and the hosts were more than happy to help regarding places to eat and any shops that we needed. Stayed here for the weekend of TITP and would have stayed again this year had we been going back. Excellent house, ideal location, very clean and well equipped. Property is perfect for a weekend/week getaway. 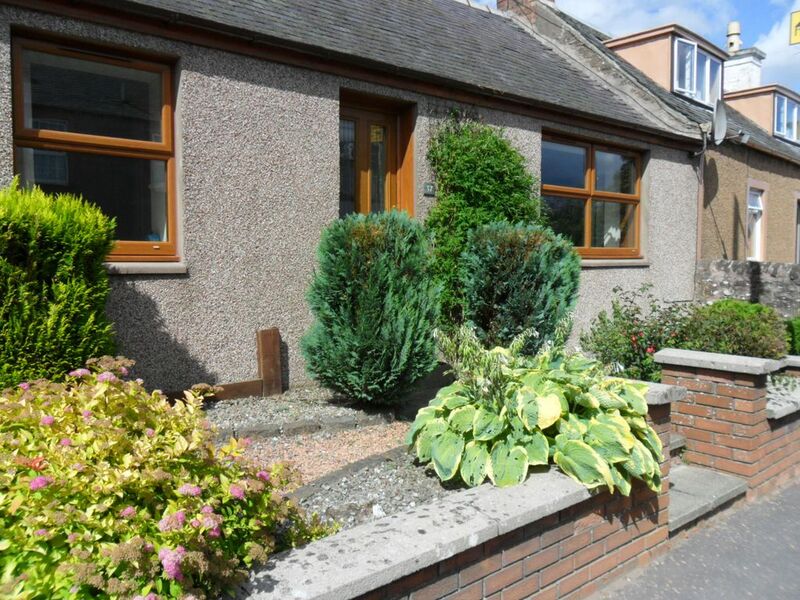 Great location on the Main Street with a short stroll to local pubs, restaurants and shops. Very easy to book and owner quick to reply to any questions we had. Master bedroom with en-suite and other bathroom has a bath- great after long walks around Auchterarder and surrounding areas. Kitchen has everything required in you want to eat in. Also have menus for local places to try. The garden has table and chairs for sunny mornings/nights. Washing machine and washing line also. Local places that we tried included Cafe Kisa and a The Cairn Lodge. Nearby in Crieff is The Loft cafe with lovley gift shop. Brilliant weekend stay and would definitely recommend to family and friends. Thank you for making our short break a great one! Located within the village of Auchterarder, surrounded by the Perthshire Hills and picturesque villages, this recently refurbished cottage is 1 mile from Gleneagles, famous for golf, fine dining and its world renowned spa. The village of Auchterarder high street (2 min walk), has a selection of shops, cafes, restaurants and delicatessens. Perth and Stirling is a 20-minute drive, with Edinburgh and Glasgow less than an hour away. There is a wide variety of golf courses, horse riding and excellent hill walking. All on the one level there is a spacious modern wooden floor open-plan living/dining room with TV. Separate kitchen, one double bedroom, with en suites and a twin bedroom.